Dewar's is actually not bad. First time drinking it. They have a variety of skewers and quite cheap. Resemblance of Malacca ones. Dipped in satay sauce. Will definitely visit again since it's only in Puchong and no need to go so far to have satay celup. Wedding luncheon at Di Wei restaurant, Empire Subang. Four seasons. The chi yok was a hit. Also, was recently introduced to this Indian shop, Day to Day restaurant in Puchong which serves a variety of food. I have been looking for this everywhere at night! They have some really spicy food and we ate until we burnt our tongue, mouth and lips and probably our esophagus HAHAHA but it was reallyyy good!! Will visit again definitely. And they have ice cream goreng and ice cream cake. Whut whut...they literally have everything and it's so cheap! And then went to Jogoya, Starhill after the longest time for their buffet spread. Crabssss. I think I kinda OD on crabs that night. Chocolate fountain and there's Haagen Dazs ice cream and New Zealand natural ice cream. For less than RM100, I think it was quite worth it. Wine dinner at Ritz Carlton. Rib eye steak. Such generous portion. I couldn't finish it. Lastly, when it came to dessert, I was so damn full. Such a fulfilling dinner and totally worth it. But even all atas food also cannot beat my favourite A&W float hehe. Back to childhood drink. Oh, my Japanese fix always at Jyu Raku. First time drinking it other than sake. It's actually not bad at all. Maze Bar for gin & tonic fix. Tiger Tiger Sunway for awesome nasi lemak. Nasi lemak with baby lobster! RM23.10 (after tax) and the butter sauce was yummy. Sambal was very little but can add on and the whole portion was also rather small. Nevertheless, tasty and I want to try their indomie, maggi goreng and nasi lemak goreng. Sllrrrp! 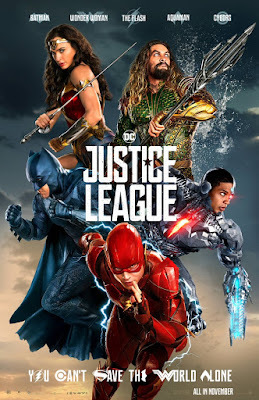 Watched Justice League the other day and it's one of the best movie this year. The action, the humour, the special effects were all on point. Wonder Woman was the man of this show hehe! And it's Christmas season!! It's our yearly tradition to put up the Christmas tree and this one has been with us for almost 20 years. Time really flies. In a blink of an eye, it's New Year soon. FYI, pictures for monthly updates are not good because i. it's taken without good lighting and ii. it's taken with my phone camera and sometimes in a rush not with the intention to blog about it. But, when I compile the pictures and see that I have enough to blog then I'll randomly take from my gallery. So I apologise for bad pictures for monthly updates hehe but for events and reviews I have my trusted Canon EOS M10. But this casual blog is to share good things with readers so I do hope you still enjoy reading albeit with blurry pictures sometimes! KFC Chizza- the perfect mashup!